Nothing shows off you curves and attracts attention like a true Brazilian bikini. 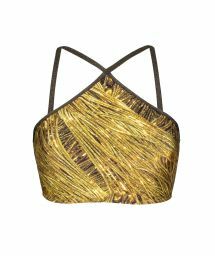 To get a glamorous look at the water's edge, opt for a gold bikini. With it's nod to a sunny holiday, this sparkling and rich color is ideal for showcasing your tan. The gold bikini will also show off the good looks of someone who chooses to not tan. 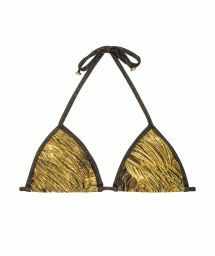 A golden bikini is a always a good choice, especially when paired with matching jewelry and beach sandals. 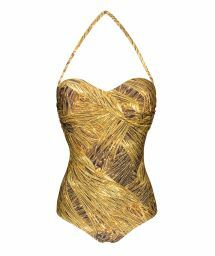 For an elegant and sensual look, opt for a gold bikini that will divinely set off your tan.